Continue the learning journey through the OD Map with Data Collection and Intervention Design. To engage and challenge participants in working with a different types of data collection methods and how to think about, prepare, and design workshop and/or intervention for the client system. Bring write up of 1 - 2 tools that you use for either data collection or in designing. 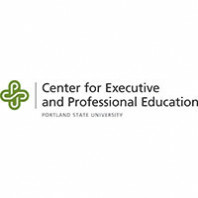 Open to Oregon ODN chapter members (including chapter student members), members of our partner organizations (ATD, PHRMA) and interested guests. Through Eventbrite. Online registration available until 8 am the morning of the event. Registration will also be available at the door.